The prices of gold and most other metals have fallen sharply over the past two years, to levels at which many mining companies are financially stressed. Many of these companies do not protect themselves from declining prices. Now, with current prices extremely low, they are not sure whether they should buy an insurance policy. Mining companies’ reticence toward managing their financial exposure to the prices received for their products is rooted in several trends that emerged in the 1990s and early 2000s. Producers at that time sometimes bought insurance policies that protected them from falling prices at the expense of (a) their exposure to rising prices and (b) potentially unlimited financial risks if prices of their metal products rose at a time when they could not deliver into fixed-price hedges. All of this could have been avoided, and was by many mining companies, by using strategies that gave them (1) the floor price they sought while (2) preserving most of their exposure to rising prices and (3) capping any marked to market losses they might face at a low, pre-determined maximum level. Meanwhile there was a misunderstanding about why shareholders invested in mining stocks, a misperception that persists to this day. Investors buy mining shares because they want exposure to rising prices, not prices. Investors will gladly lose their exposure to falling prices if they can maintain their exposure to rising prices. Often hedges were structured that did not provide exposure to rising prices and did not cap any marked to margin financial risks. With a handful of exceptions mining finance executives did not pursue these hedging structures on their own. Today gold prices and the prices of other metals have fallen sharply from their 2011 – 2013 highs. Some mining executives are speculating that prices cannot fall further, but the history of metals prices show that prices indeed could fall further from even today’s seemingly low levels, and remain below even the average cost of production for several years. Mining company management needs to use simple hedging structures that protect against further price deterioration while preserving their exposure to rising prices and do not put them at financial risk. This actually can be done easily with hedging strategies that have been around for decades. They also need to convey to their shareholders that when they hedge using such strategies it makes financial sense and protects the company’s viability, without putting it at risk. All too often only fixed forward and collar hedging strategies are offered which take away the upside exposure and leave the mining companies open to large, unlimited risks. Forwards are touted as providing a floor price as an effective hedge. But when prices rise and a company has hedged using forwards at a lower price the company loses out on the upside and potentially may have to buy back the forwards at a loss. Zero-cost collars also are pushed by trading counterparties, but in reality these strategies are only marginally less destructive of shareholder value than are forwards. There is a price floor provided, but also a price cap that limits upside price participation. 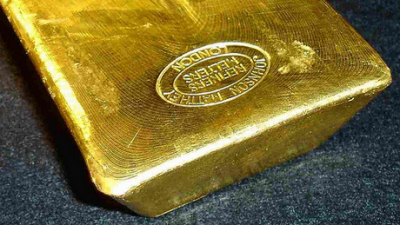 Hedging should allow companies to participate in a rising gold price environment. There are various ways to do this. For example, CPM priced a zero-premium hedge for the next six months today, 18 September. The hedge locks in a floor price of $1,100 per ounce, gives the producer participation up to $1,150. Between $1,150 and $1,200 the producer would get $1,150, giving up a maximum of $50 per ounce of the upside. Above $1,200, the producer would get the market less $50, all the way up. If gold goes to $1,400 per ounce, the mining company gets $1,350. If, in the mining industry’s wildest dreams, the price goes to $2,000, the mining company gets $1,950. And, it gets to stay in business in the meantime, to enjoy the return to such halcyon days. Many mining executives have commented that prices cannot go much lower, but prices can fall more. To say prices cannot go much lower is to speculate, and to speculate against statistically possible realities. The alternatives to hedging could trigger much more severe financial consequences. Denna analys är producerad av CPM Group och publiceras med tillstånd på Råvarumarknaden.se. Copyright CPM Group 2012. Not for reproduction or retransmission without written consent of CPM Group. Market Commentary is published by CPM Group and is distributed via e-mail. 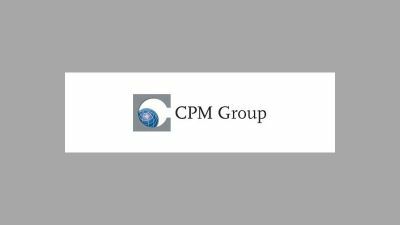 The views expressed within are solely those of CPM Group. Such information has not been verified, nor does CPM make any representation as to its accuracy or completeness. Any statements non-factual in nature constitute only current opinions, which are subject to change. While every effort has been made to ensure that the accuracy of the material contained in the reports is correct, CPM Group cannot be held liable for errors or omissions. CPM Group is not soliciting any action based on it. Visit www.cpmgroup.com for more information.